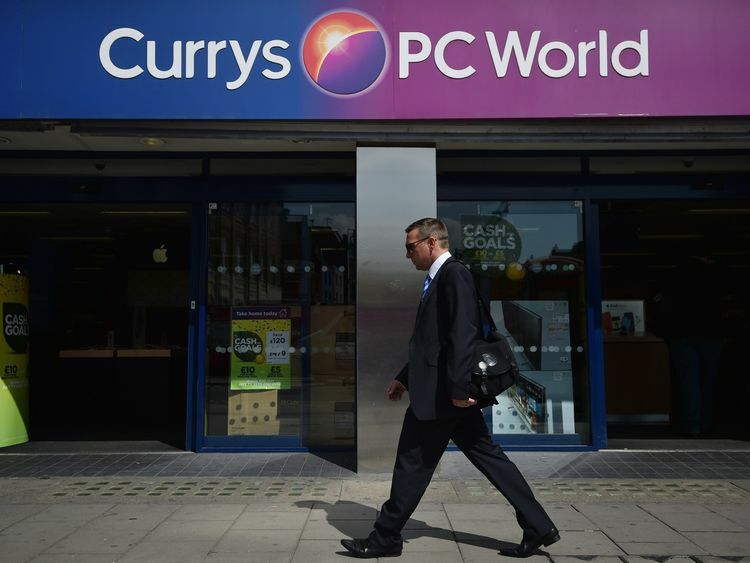 Dixons Carphone has announced plans to close 92 stores this year as its troubled mobile phone business continues to face "challenges". The high-street giant said its Carphone Warehouse division remained under pressure, partially due to customers shunning handset upgrades and going "Sim-only". However, a spokeswoman told Sky News no jobs were expected to be affected and insisted staff would be redeployed and offered the chance to move to nearby larger outlets.The store closures will add to the pain on the high street, with Dixons Carphone adding its name to the long list of retailers - Carpetright, Mothercare, Byron and others - to have shuttered outlets in the face of falling consumer demand.The group, which also owns the Currys and PC World electrical brands, posted an increase in sales in the year to 16 April, but said pre-tax profit in its full-year results in June would come in at around €382m, down from €501m in 2017.The retailer has been issuing profit warnings in trading updates since last summer.New chief executive Alex Baldock warned on Tuesday the decline would continue into 2018-19 - with pre-tax profits anticipated to drop to €300m.Shares in the company plunged by 27% after the profit warning and news of the store closures. "Overall, gross margins are expected to be down, partially offset by cost initiatives," the retailer said of its outlook for its mobile phone business. "We have taken early action here with the planned closure of 92 Carphone Warehouse standalone stores this year." The group said total revenue rose by 3% in the year to 16 April, while like-for-like sales were up by 4%.In the UK, comparable revenue grew by 2% and was up by 1% in the fourth quarter.Mr Baldock said "nobody is happy with our performance today" and pledged to take action. "Eight weeks in the business have cemented my optimism about Dixons Carphone's long-term prospects. I've found exceptional strengths, and though there's plenty to fix, it's all fixable. "Right now, with our international business in good shape, we're focusing early action on the UK. In electricals, we're focused on gross margin recovery. In mobile, we're stabilising our performance through improvements to our proposition and network agreements. In both, we'll work hard to improve our cost efficiency. "We won't tolerate our current performance in mobile, or as a group. We know we can do a lot better. "There's so much more to come from Dixons Carphone, though plenty of hard work lies ahead." Dixons Carphone has a 42,000-strong workforce in nine countries.Despite a tough market the firm was buoyed by better sales in its international division, with like-for-like sales in the Nordics up by 9% and in Greece up by 11%.